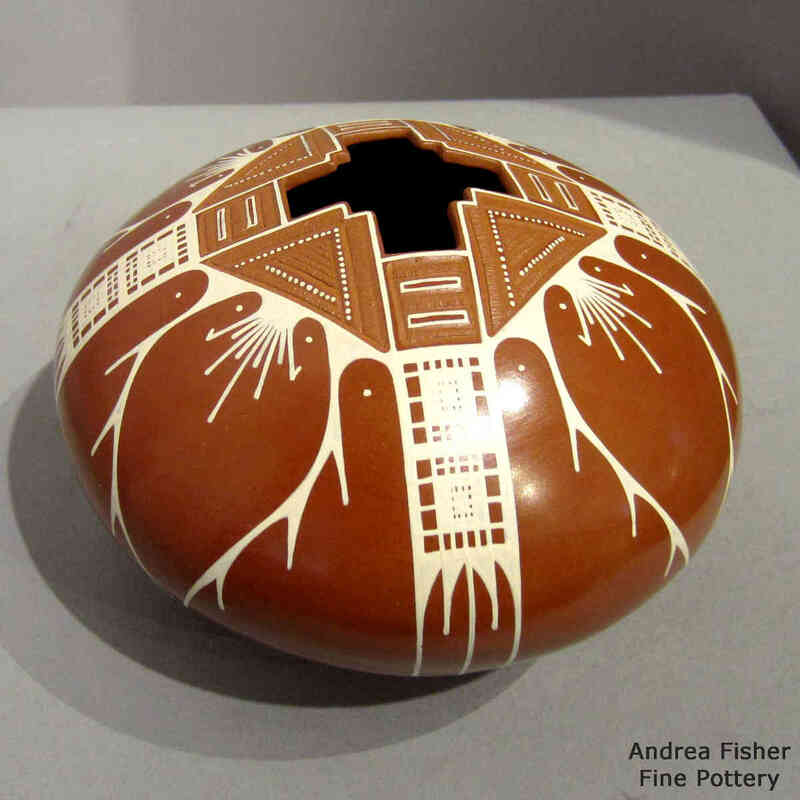 Angel Amaya is a potter from Mata Ortiz. 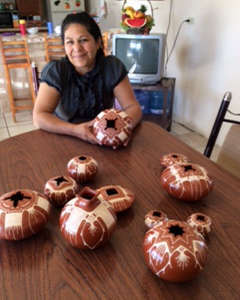 I'm told he and his wife, Avelina Corona, work together: she makes the pots and cuts the openings while he does the decorations. 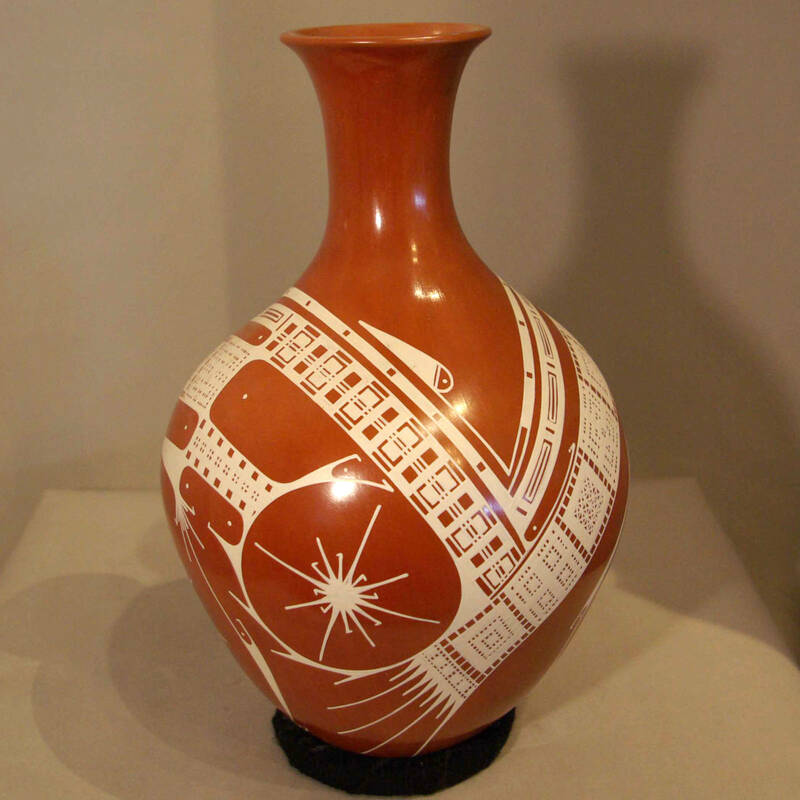 Both potters were featured in the book The Many Faces of Mata Ortiz (under his name). 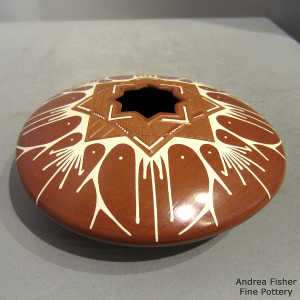 Angel (and Avelina) mostly produce smaller versions of non-traditional shapes like seed pots, flying saucers and long-neck jar and vases with a mixed red clay and a specially made white paint. They also produce pots with red and black designs on a white body. 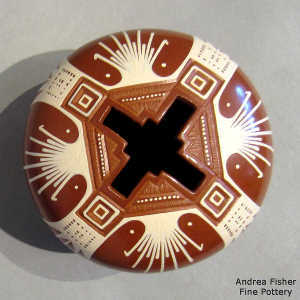 Angel learned to paint from Consolacion Quezada, Juan Quezada's older sister, and her son Mauro. 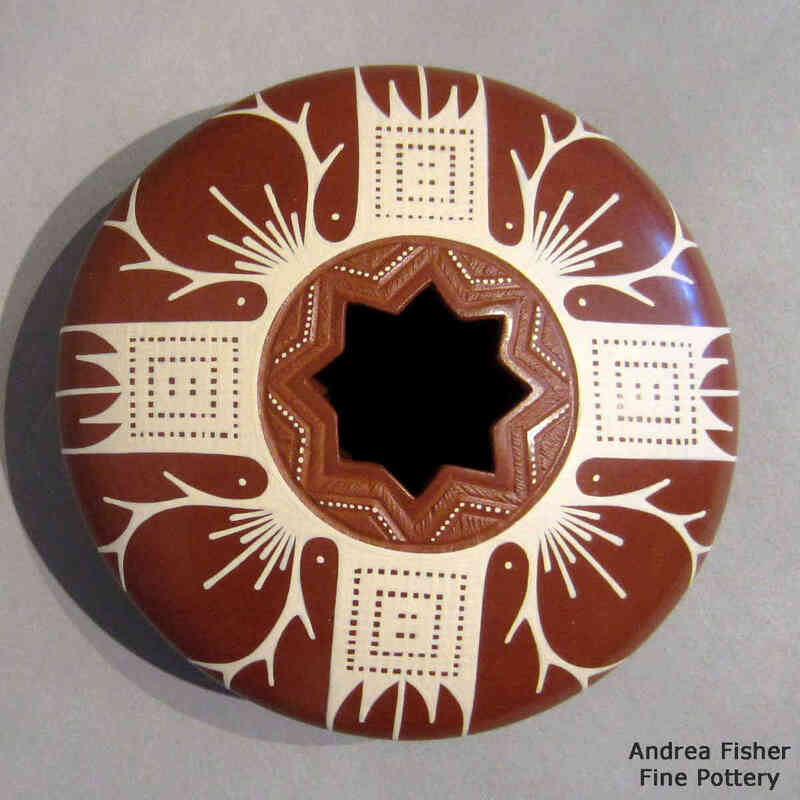 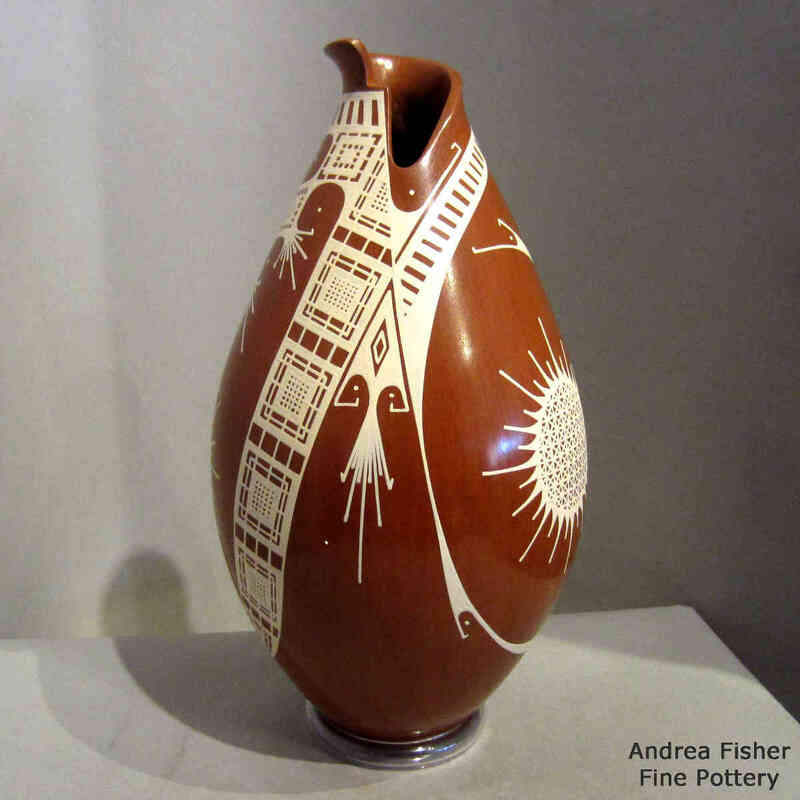 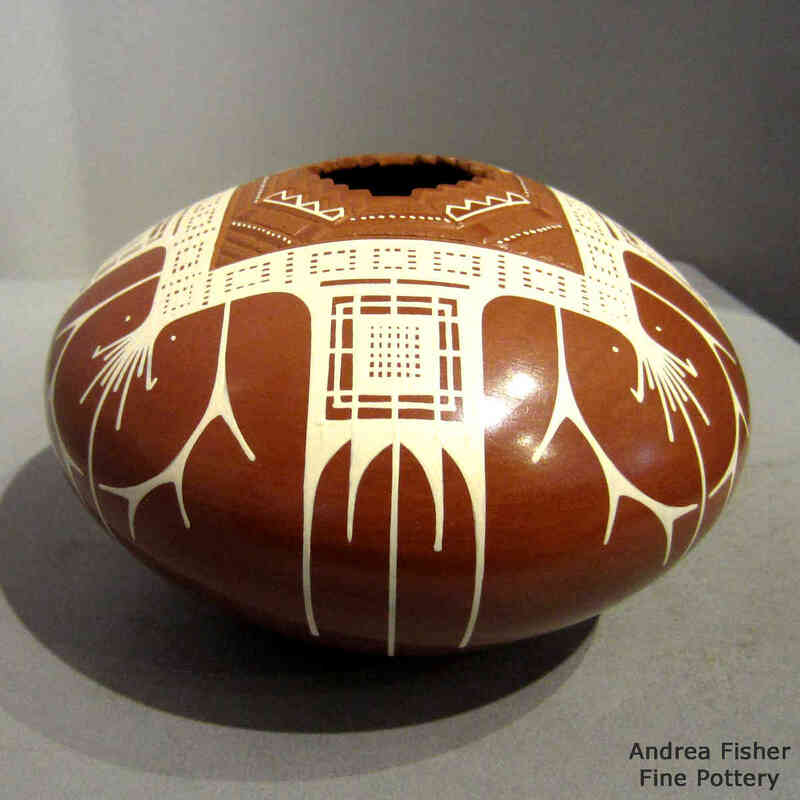 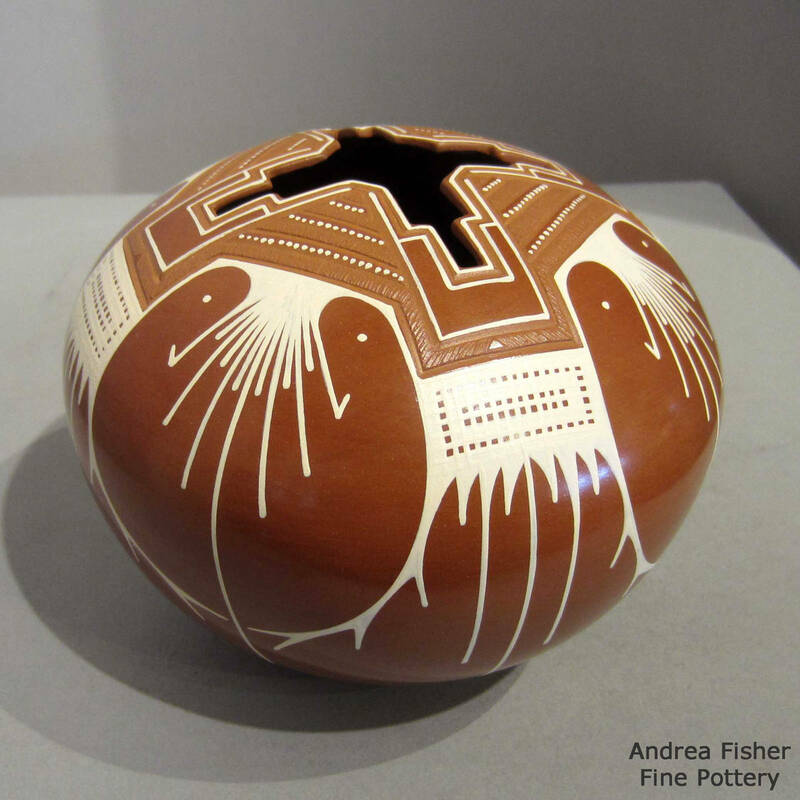 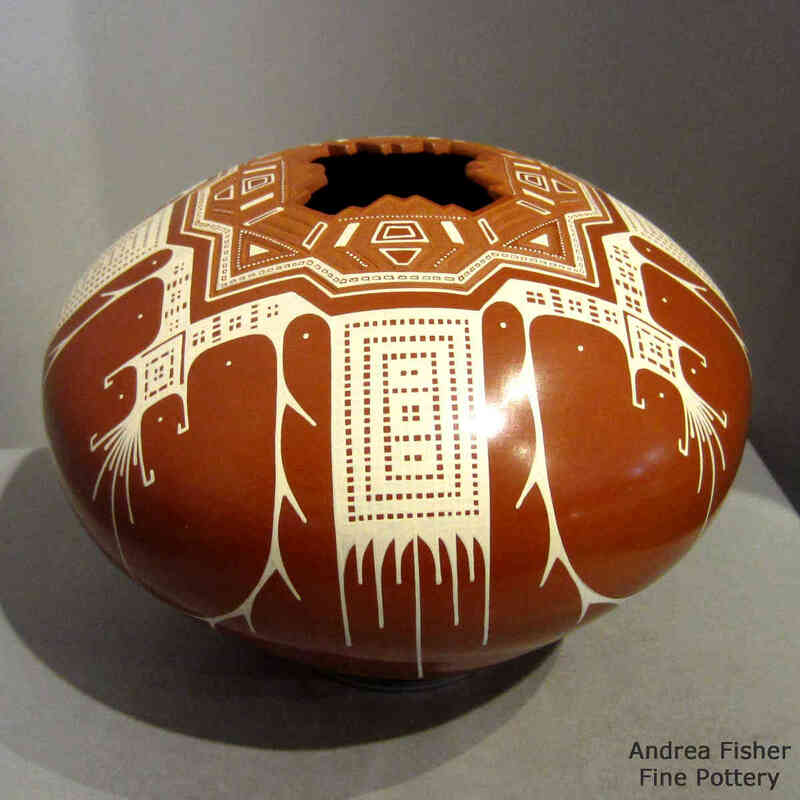 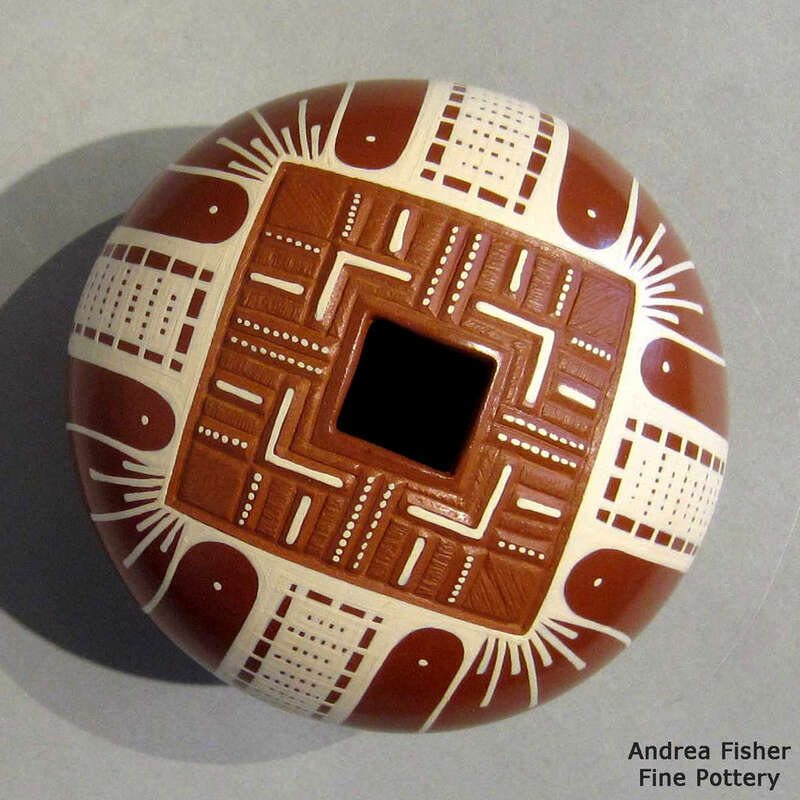 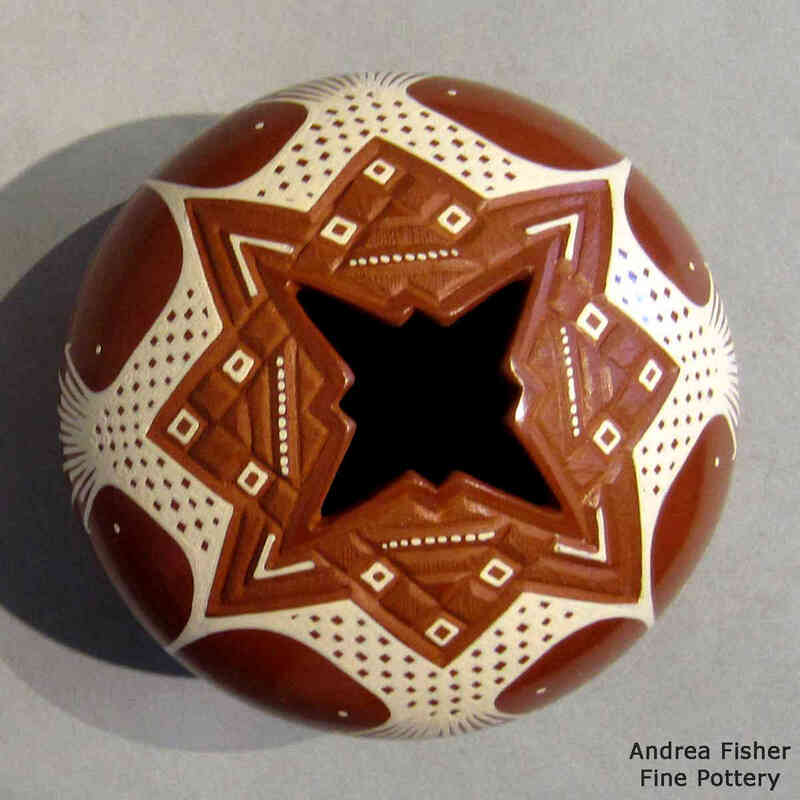 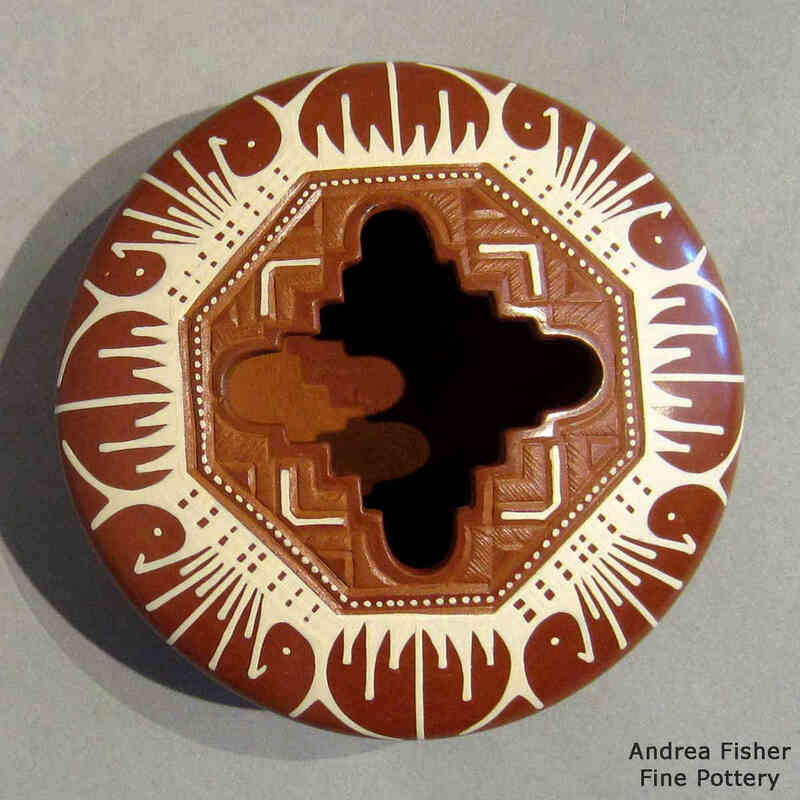 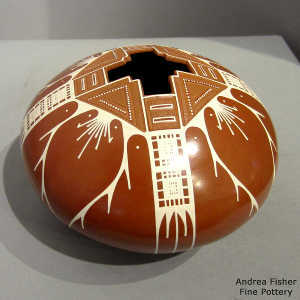 It appears that Avelina learned to make pots from her brother-in-law Jesus Martinez as her work closely resembles his with thin walls and streamlined shapes. 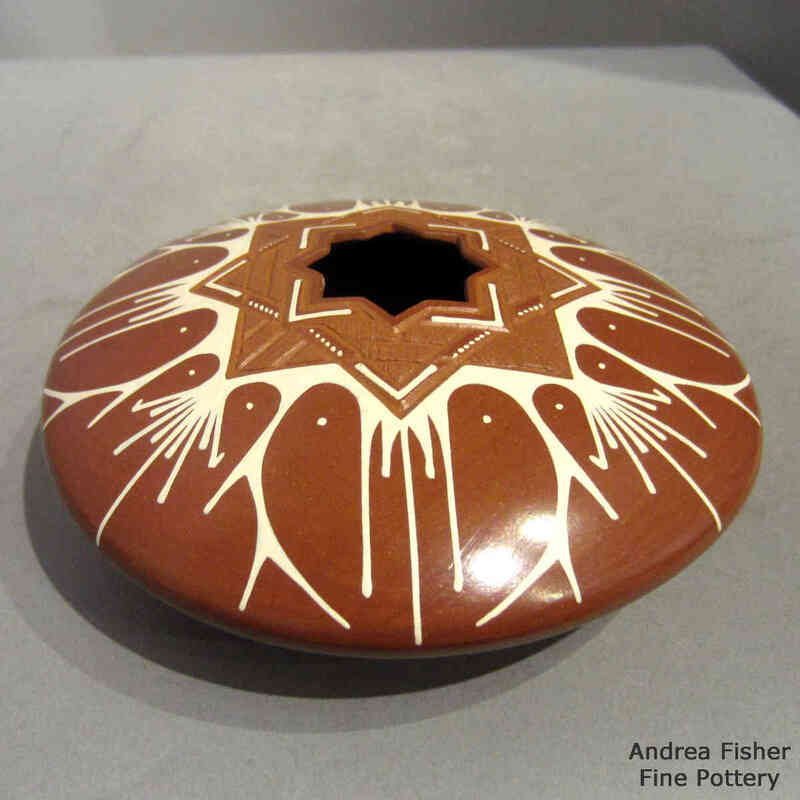 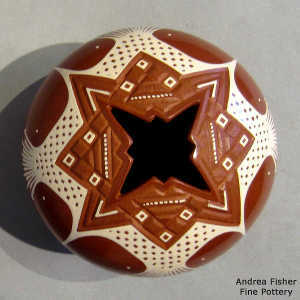 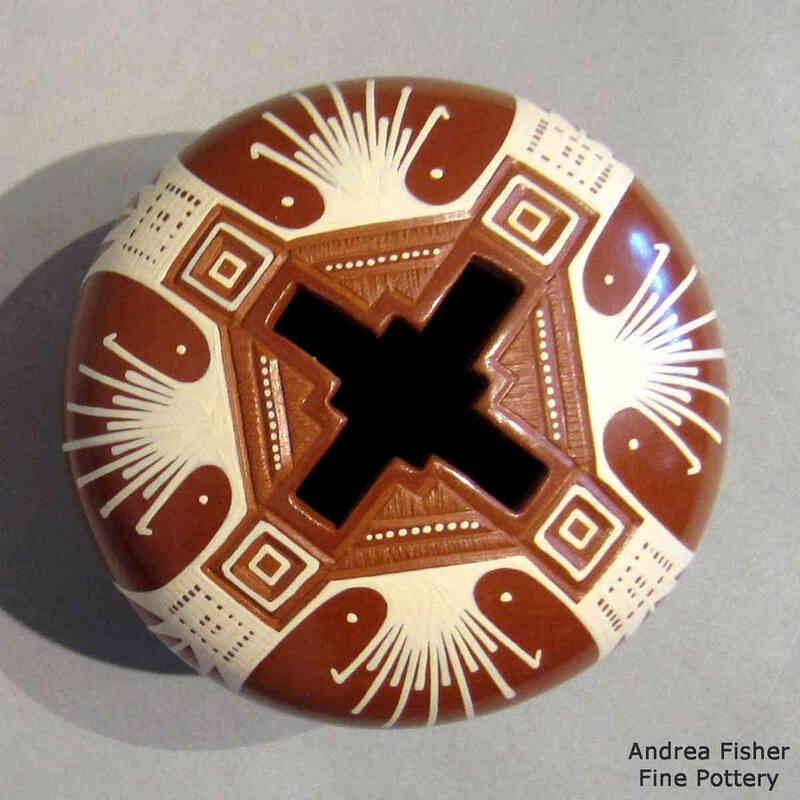 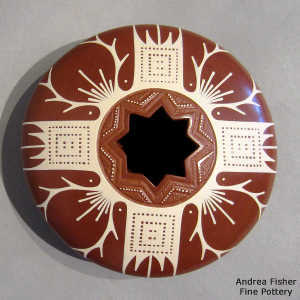 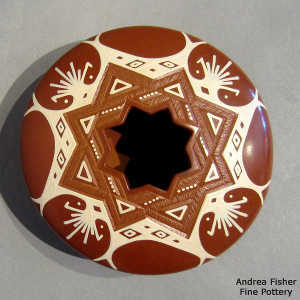 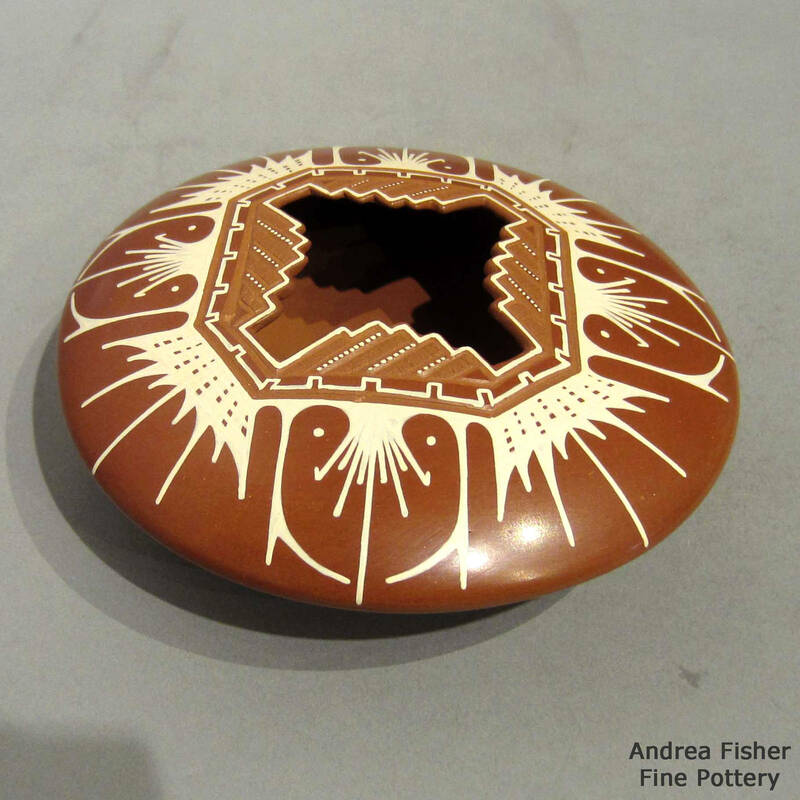 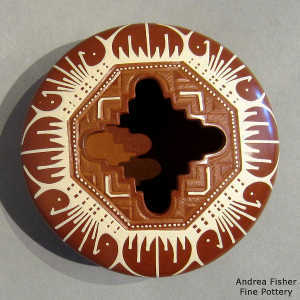 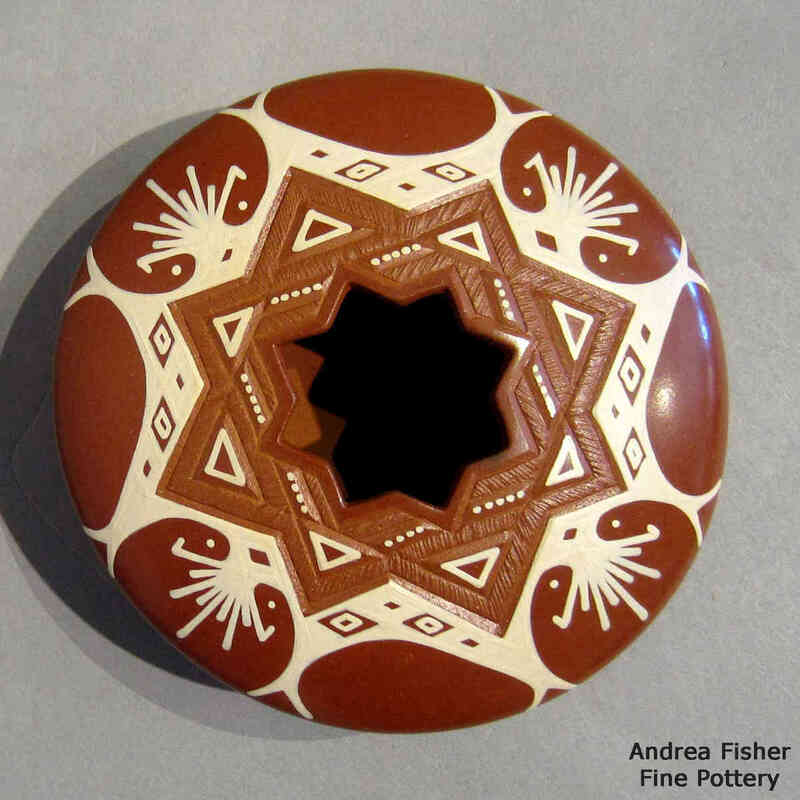 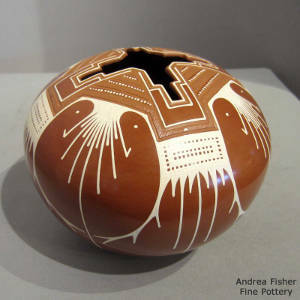 Once Angel applies his original interpretations of Paquimé designs to Avelina's clay form and the pot is fired, they have produced a very contemporary piece.